This tutorial shows you how to create a Ubuntu 16.04 USB drive using Windows 10 (although it will also work for other versions of Ubuntu including Ubuntu 15.10, Ubuntu 15.04 and Ubuntu 14.04). It is written for Windows users thinking of trying Ubuntu out and is part of a larger guide showing how to dual boot Windows 10 and Ubuntu. release which means it will be supported until 2021.
flavour. The choices are 64-bit or 32-bit. the top of the results. hand side of the page you will see the words 32-bit or 64-bit. category or entering numbers in the box. the bottom corner which says “Not now, take me to the download”. Ubuntu will now start to download. image to a USB drive. on the green “Download” button. download the Win32 Disk Imager software to. When the welcome screen appears click “Next”. (after reading the agreement of course). Imager. Click “Next” to continue. for Win32 Disk Imager will be created in. Click “Next” to continue. checkbox checked and click “Next” otherwise uncheck the box. The files will now be copied and installed to your computer. drive, right click and when the menu appears choose “Format”. right drive selected, check the “Quick Format” option and click “Start”. reason you downloaded and installed the Win32 Disk Imager application. Imager will appear. Click on this option. When you have found the file click on it and then click on “Open”. Now all you have to do is click “Write”. use it to boot Ubuntu in a live environment. You only have to do this on computers with a UEFI bootloader. from a USB until it has fully loaded. from the USB drive which is of course a major issue. when the menu appears click on “Power Options”. 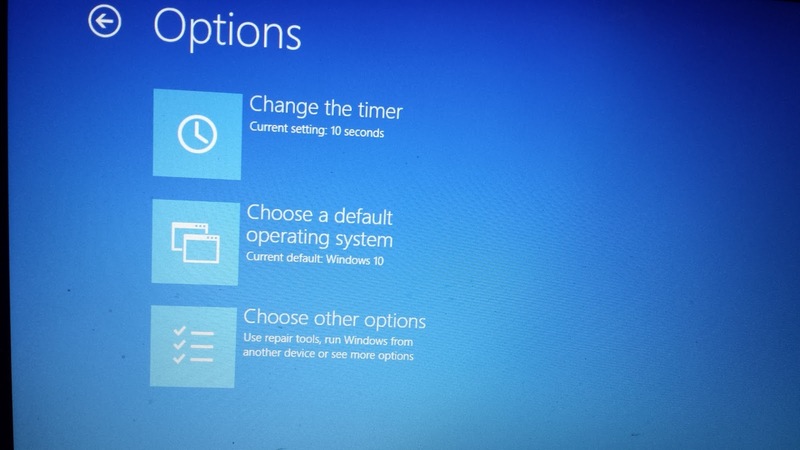 There are lots of power options within Windows 10. The left hand side of the screen has a list of categories. Click the link which says “Change settings that are currently unavailable”. option checked your computer will load faster. previously is plugged into the computer. If your computer has a standard BIOS simply reboot your computer and a menu should appear with an option to try Ubuntu. A large dialogue window will appear with options to install Ubuntu and to Try Ubuntu. Click on the “Try Ubuntu” option. Ubuntu will now be loaded as a live session. You can try out all of the features of Ubuntu but if you reboot all the changes will be lost. If your computer has EFI then read on. 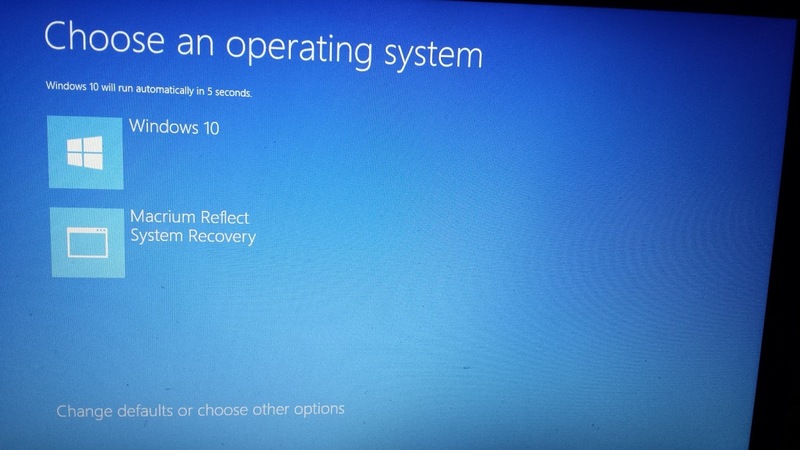 If you read the guide showing how to create a Macrium boot menu option then simply reboot your computer and the following screen will appear. choose other options” link at the bottom of the screen. until a screen similar to the one below appears). USB drive and this may take some finding. item which produced the screen below. 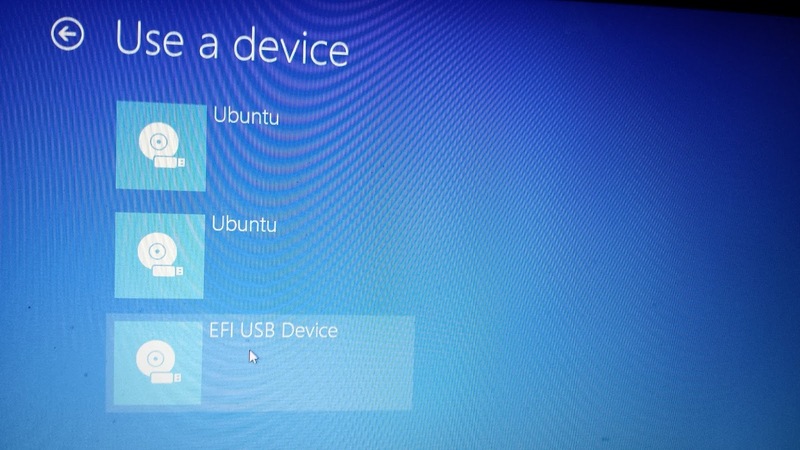 Choose the EFI USB Device option.An option should appear with an option to try Ubuntu.Ubuntu should now boot from the USB drive. or to Try Ubuntu. Click on the “Try Ubuntu” option. all of the features of Ubuntu but if you reboot all the changes will be lost. This guide shows you how to create a Ubuntu Linux USB drive using Windows 10. Hopefully you have found it useful but if you have any comments with regards to the procedure please leave them below as it will help me improve the tutorial for future users. I followed your instructions on both this tutorial and 'How to install Ubuntu Linux alongside Windows 10 (UEFI)' but I can't get the USB port working. 'System doesn't have any USB boot option. Please select other boot option in Boot Manager Menu' and when the boot manager appears there are only windows and network boot options. What am I doing wrong? The thing was the USB stick. I changed it for other from Kingston and it worked smooth. I found a way but it's pretty dumb. Use this or another guide to create a live ubuntu usb drive, boot ubuntu (try ubuntu) from that drive, then click 'Install Ubuntu' on the process bar-thingy to the left and install onto ANOTHER usb drive. Can I use Win32 Disk Imager to copy a 64 bit Linux version? So, I'm running W10, and want to disable "fast start-up" as per your instructions. The issue is that this option doesn't appear in the settings. And the reason, I have discovered is typically MS: because I have disabled hibernation – because I'm running a desktop, so why would I need hibernation? So, because I have disabled hibernation, MS somehow believes that I won't want to boot into another device. Obvious, right? Genius. I know. I'm in the same position. Though I don't remember disabling hibernation it's completely possible. Do I need to enable/re-enable it so that I can turn off fast start-up? Thanks in advance. That is very odd. do you see the fast boot option in the power options screen at all. Note that there is a link at the top which says "change settings that are currently unavailable". click this first and fast boot should be enabled for you to uncheck. win32 made my 32gb usb into a 2.19mb, at first i thought the problem was with the usb stick, so i tried again with another usb stick and the same thing happened. What did I do wrong, and how can I fix my damaged usb? To UNKNOWN with the 32gb usb stick being stuck at 2.19mb. Next type: select disk "disk number of your usb"
Reopen disk management to verify your space is back on the usb stick. Looked good for a while but got no further than "Ubuntu" and three red dots out of five. Never mind above comment. Tried without install worked, so I tried install again and that worked too yay. Disk ##### Status. Size. Free. Dyn. Got. Hi there – I followed these steps, changed the boot order by pressing F2 and setting it to boot first off the the USB. However, nothing happens and it just goes straight to Windows. Any ideas? When in Windows. Hold down the shift key and choose to reboot whilst holding down the key. It will enter the UEFI boot screen. I have followed the steps and I cannot get this to work. I tried adjusting the boot menu so that USBs are booted first. However it appears to still ignore the USB and boot right into Windows. My USB drive will not show up. Not sure what I did because I followed all the instructions. Someone please let me know if you find a solution. Hello guys, first of all thank you Gary for this set of detailed instructions for Ubuntu dual boot with win10. I tried for about a week to setup linux alongside in my clean new Acer Aspire V15 with clean new Win10. I followed the steps above and have to add, that on my laptop (and probably other new models that has no option to turn off Secure boot in BIOS/UEFI setup), besides the fastboot switching off, it is necessary to do more setup around secureboot. In BIOS/UEFI setup it is necessary to add UEFI files as trusted. Before that, to get to this option in Security tab of BIOS/UEFI setup, it is necessary to create a supervisor password under this tab. After setting password, the option of adding trusted efi files is accessible. I opened the "Select an UEFI file as trusted for executing: ". In my case when I entered the UEFI file "browser", a simple CLI like browsing in internal HDD files was opened. There under HDD0 -> -> -> are efi files e.g. grubx64.efi. I have chosen this file to be added to the trusted efi boot files. After this I could see at startup under (blue startup screen with bootable systems) "Change defaults or choose other options" -> “Choose other options” -> “Use a device” -> list of bootable EFI disks a new item "linuxgrub". Selecting this starts my installed Ubuntu OS. 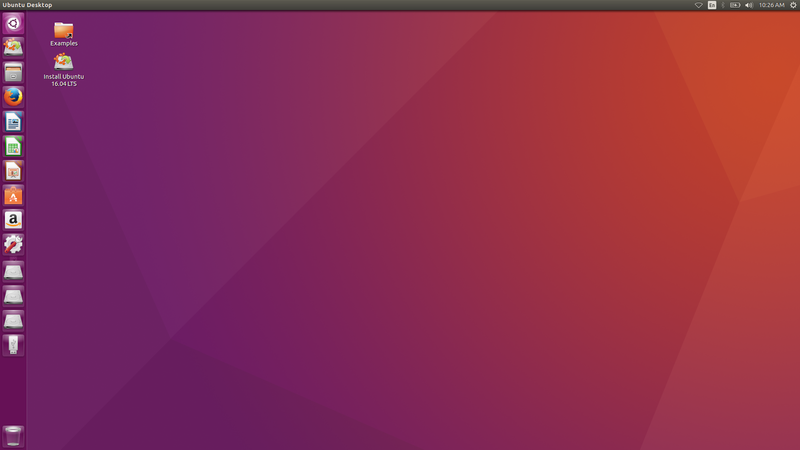 Without these steps I was not able to see any option for starting Ubuntu. As I said at the beginning, I tried for about week to somehow workaround my problem and could not find any effective help for users with the newest UEFI PCs having no option to switch off the Secure boot. A set of screenshots is available if anybody needs to clarify the steps. hey man, i think you are describing exactly my problem, i just cant use a device for starting ubuntu. would it be possible for you to give me the screenshots so i can try your steps? when i try to write to my usb using win32 disk imager i get the error "the process cannot access the file because it is being used by another process". I am using an hp usb 16gb v125w that does not say it supports windows 10 which is what i am running, the highest is 7. could this be the problem? when i try to click write while using the win32 disk imager, it gives me the error "The process cannot access the file because it is being used by another file"
I am trying to use a hp usb drive 16gb v125w. The usb drive does not say it supports windows 10, the highest is 7. Could this be the reason for the problem i am getting? 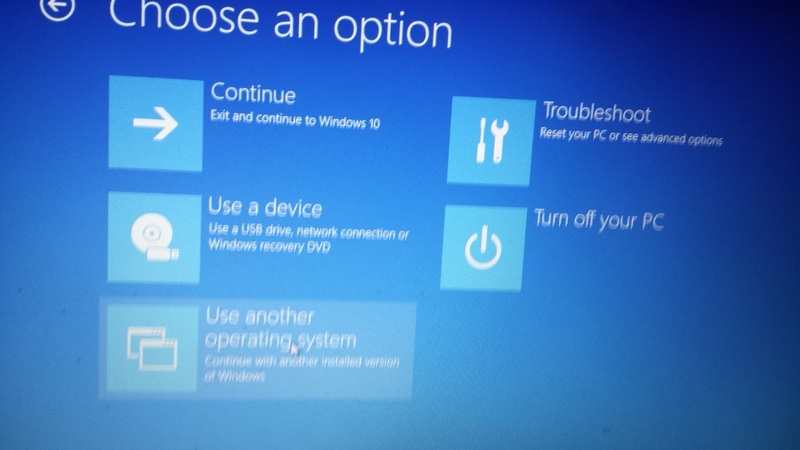 I am not able to get the option "Use a Device" in the UEFI Menu (I have a UEFI Setup). Is there a way around this or a way to restore this option? I have already disabled fast startup and rebooted multiple times and havn't been able to see this option. Thanks in advance. I highly recommend using Rufus to create the bootable USB. Great, free, portable with no installer to take people through the steps of… It's the best. Thanks for all your guidance with this. I've followed your notes through the whole process (except I downloaded Linux Mint 17.3) to create a USB stick. But something is not quite right. When I start up from the USB I get a black screen (like the cmd prompt) not the blue screen with white writing. As it loads it flashes up "ACPI PCC Probe failed" and some other stuff that disappears too quickly to read. It then offers three choices, (1) Linux Mint, (2) Linux Mint (Compatibility mode), (3) a message to "check the integrity of the medium". One option (I forget which) produced several cmd-style screens of dense type among which I noticed one line that read "Starting Restore Card … [fail]". Both (1) and (2) do load Linux but I didn't investigate if it works properly. I followed the above procedure but I didn't found any disk image file in my downloads section there was only ubuntu winrar file than i extracted it and in grub folder which was inside boot folder i found efi.img which was disk image file I opened it in win32. Further when while rebooting my pc after selecting efi usb disk option there was no option like try ubuntu instead boot manager window appeared. I downloaded the Ubuntu 16.04 from the link, but somehow a 4980KB file with the name "ubuntu-16.04-desktop-amd64" is downloaded. And the download for the 1.4GB Ubuntu is still going on. Now can you tell what is that 4MB file actually? The type of file downloaded is an ISO type not the DiskImage one shown in your uploaded image above. Is it okay if that ISO file is opened with the Win32 DiskImager? Excellent tutorial. You should be a professor. Thanks so much for the easy-to-follow explanations with screen snapshots. It was so simple to understand, even for a beginner. In addition, the content was up-to-date, so I could successfully dual boot Linux on a Windows 10. I am overseas, so it's hard to find technical support in English. Other Internet instructions are a little out-of-date. I couldn't have done it without you. Worked great. Good article. Tyvm. Hi gary….win32 disk imager is not able to read disk image file…says error code 740…. 1. Restarted the computer: windows opened. Held shift + restart. 2. Selected usb. This time in place of 'try ubuntu' there was 'ubuntu'. I clicked ubuntu. 3. Did efibootmgr again, and this time 'ubuntu' was present. Thanks for the setup tutorial. I have a new Lenovo laptop with W10 and have only used it enough to know I can't do 10 and want to switch. I followed all your steps and felt great as they all worked, however I got to the last step, highlighted "try Ubuntu ", hit enter and the screen goes blank and nothing happens. I also tried the option to check the disk for errors, oh yeh, brand new USB stick. Always blank with nothing happening. WIN32 Disk imager ruined my 16 GB pen drive and shrinked it to 2.8MB. WTH. I have been trying to get ubuntu to work for a few days. I had to use a 32bit image. However, with your instructionns I was ablw to install it alongside Windows 10. I searched all over and googled so many instructions. Yours were very clear and to the point. I think there little things that the other people left out.